We are aware that Superstar Rajinikanth is holidaying in USA and Shankar is wrapping up climax portion scenes on Akshay Kumar. The latest news is that Akshay Kumar has joined 2.0 Chennai schedule where important climax portion scenes are being canned. A huge sets which resembles Parliament and Red Fort are erected and Akshay Kumar to demolish those structures are being canned. 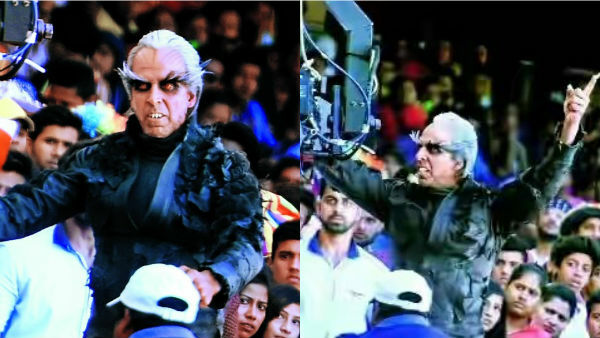 2.0 is an sci-fi big budget action entertainer being produced by Lyca Productions. This film also stars Amy Jackson as female lead and musical scores are by AR Rehman. Hollywood technicians are working for Special effects of the movie. Write & Share about "Scenes on Akshay Kumar for 2.0 are being shot | 2.0 (2 Point O) Tamil Movie News | Cinema Profile" !